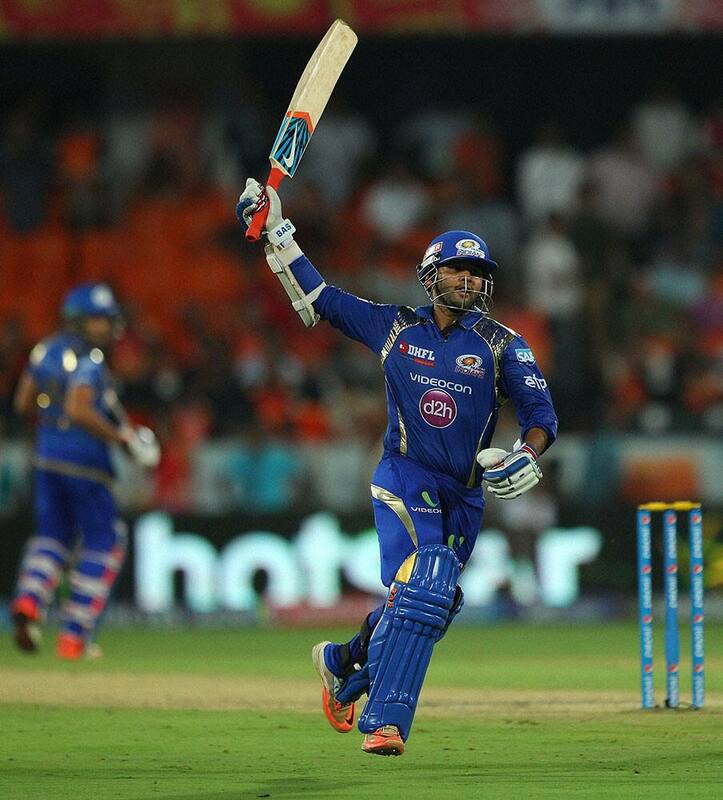 Mumbai Indians batsman Parthiv Patel celebrates the win against Sunrisers Hyderabad during the IPL match in Hyderabad. 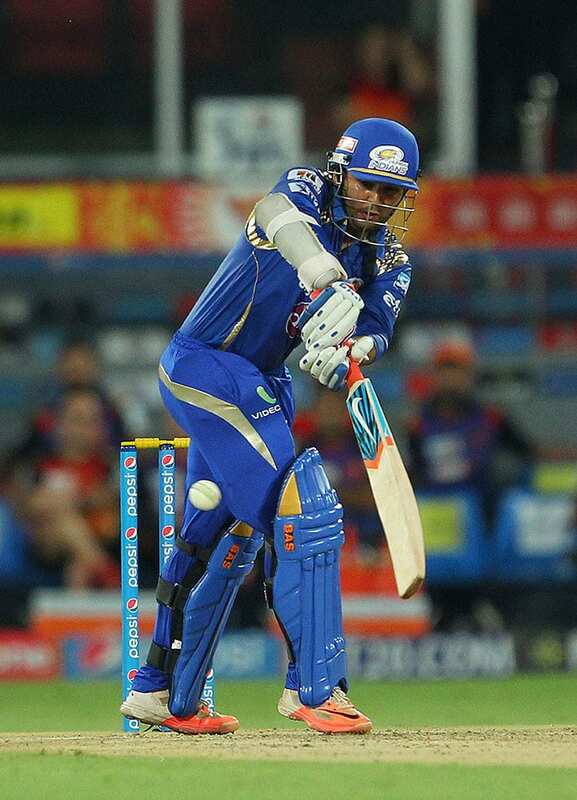 Mumbai Indians batsman Parthiv Patel plays a shot against Sunrisers Hyderabad during the IPL match in Hyderabad. 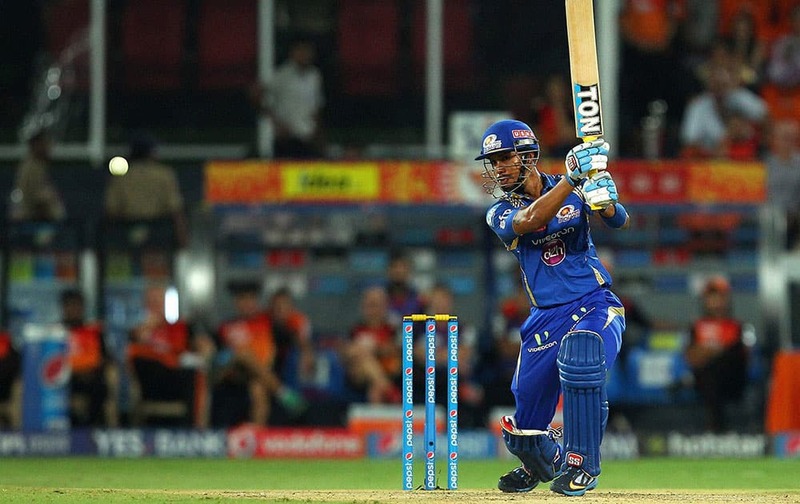 Mumbai Indians batsman Lendl Simmons plays a shot against Sunrisers Hyderabad during the IPL match in Hyderabad. 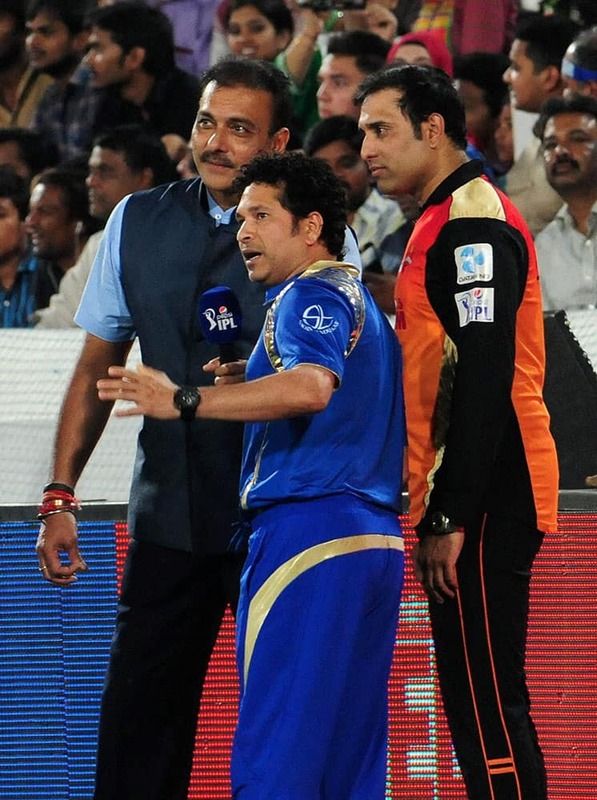 Mentors Sachin Tendulkar (MI), VV Laxman (SH) with former cricketer Ravi Shastri during the IPL match between Sunrisers Hyderabad and Mumbai Indians. Mumbai Indians players Mitchell McClenaghan, Harbhajan Singh celebrate with team mates, after dismissal of Sunrisers Hyderabads batsman Eoin Morgan during the IPL match in Hyderabad. 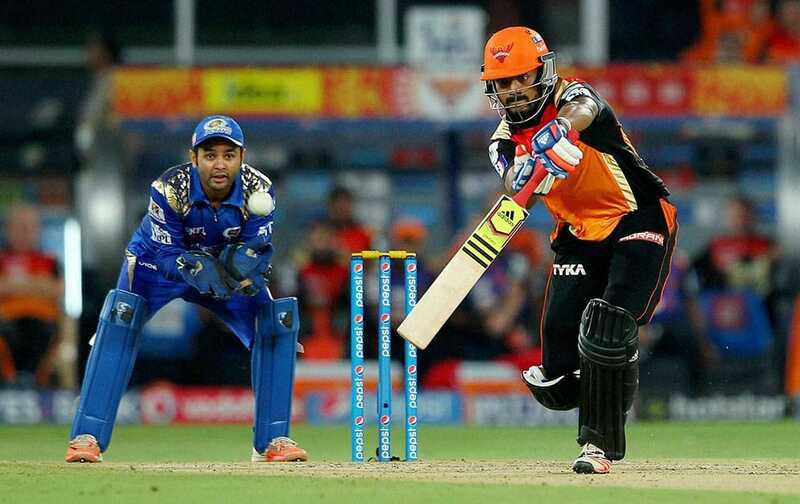 Sunrisers Hyderabad batsman KL Rahul plays a shot during the IPL match against Mumbai Indians in Hyderabad.